Enjoy an exciting holiday on board this real salon ship. In addition to luxurious full equipment, this Pedro Donky 37 (our "Sunny") offers a generous and almost barrier-free space experience. 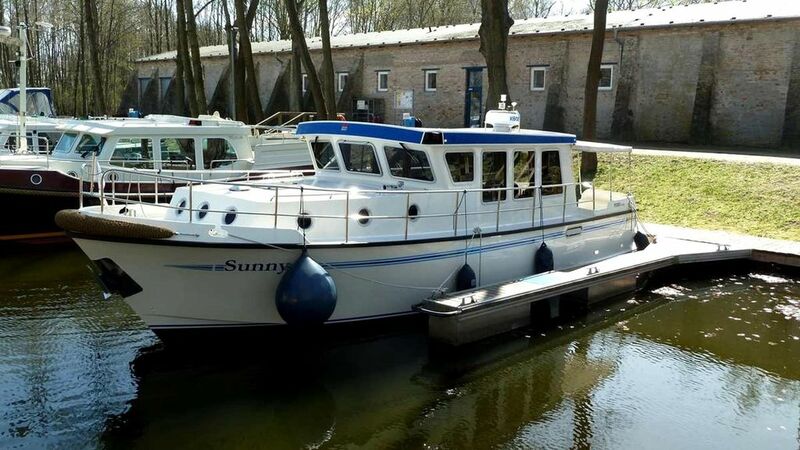 Engine: Perkins Diesel, Power: 86 hp, Length: 11.20 m, Width: 3.70 m, Depth: 1.10 m, Headroom: 3.60 m, Diesel tank: 700 l, Water tank: 500 l, Waste water tank: 250 l, 4 pers. + 2 pers. by extra bed in the salon.